Orficast More is the newest addition to our line of innovative and creative thermoplastic materials, all designed to make your task of orthotic fabrication easier. We created a thicker version of our knitted hybrid material, Orficast, with extra thermoplastic fibres that offer increased rigidity and a longer working time. The wide versions (6 cm, 12 cm and 15 cm) offer the possibility of many more applications, from hand based and wrist based orthoses to face masks and ankle supports. There is no need to fold Orficast More in half, the products offer sufficient rigidity and strength. But if needed you can still fold the material. Orficast More comes in 3 meter rolls, in small boxes, and will take up very little space. 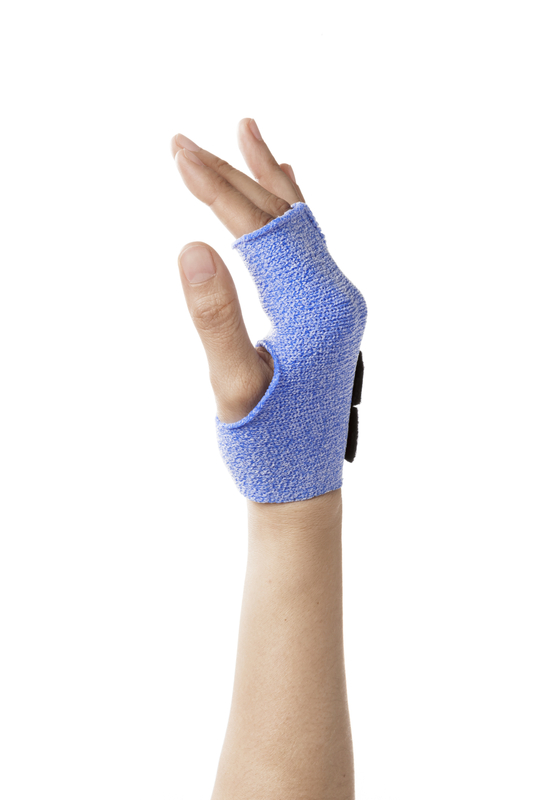 Thumb Orthoses (Short Opponens) in general. Thumb post orthosis, using the butterfly design. CMC arthritis orthosis, using the whale design. 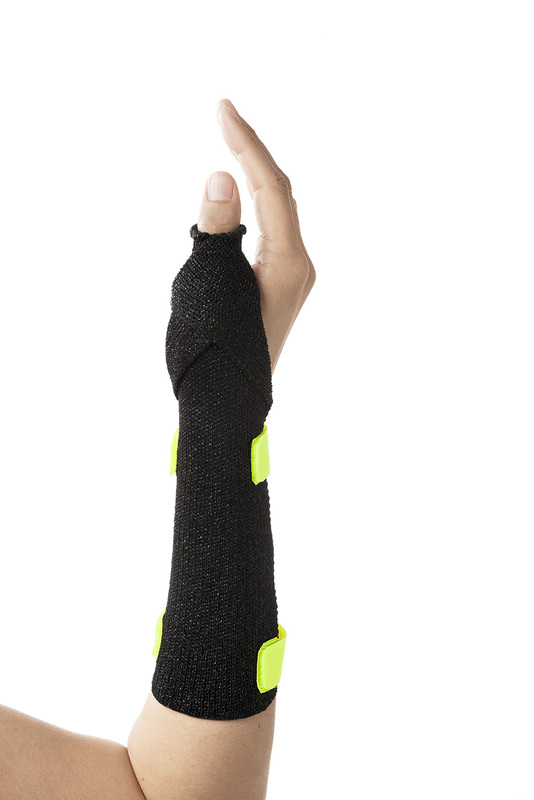 Ulnar gutter and radial gutter orthoses, hand or wrist based. Orficast More is excellent for quick and easy orthotic fabrication. This product can be activated by hot water or dry heat. The velcro strapping is best applied with dry heat. Learn more about Orficast More.